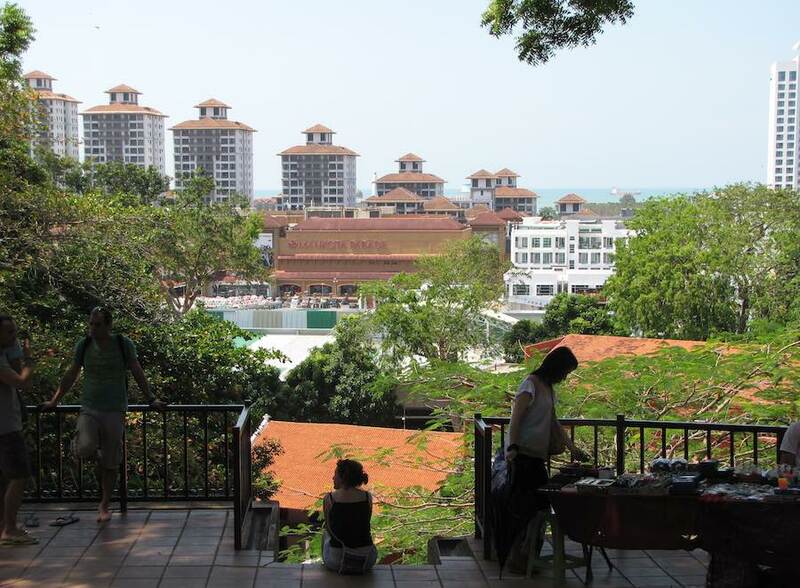 View of Malacca from the interior of St. Paul’s Church. In 1548, St. Francis Xavier with the help of fellow Jesuits, Fr. Francisco Peres and Brother Roque de Oliveira, established a school in the premises of the chapel known as St. Paul’s College. This was perhaps the first school in the modern sense to be established on the Malay peninsula. 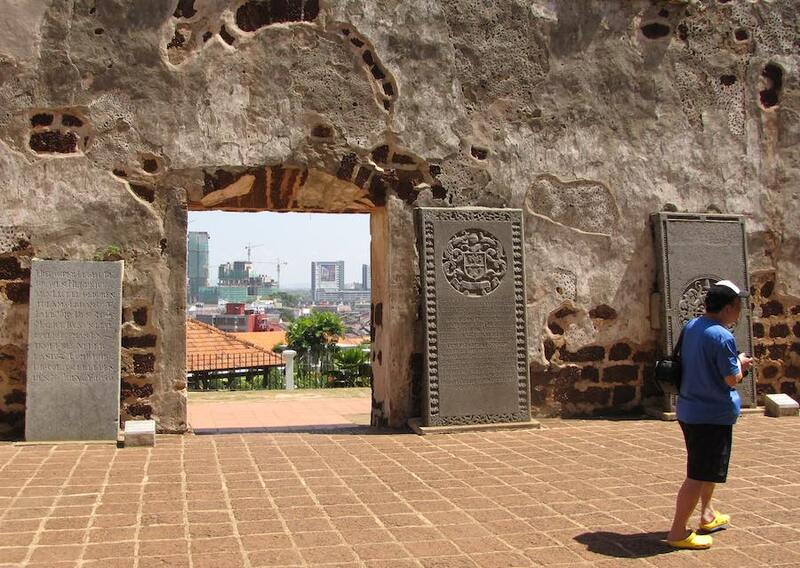 The conquest of Malacca by the Dutch in 1641 saw the church change hands (to Dutch reformed). Over time it fell into disuse. 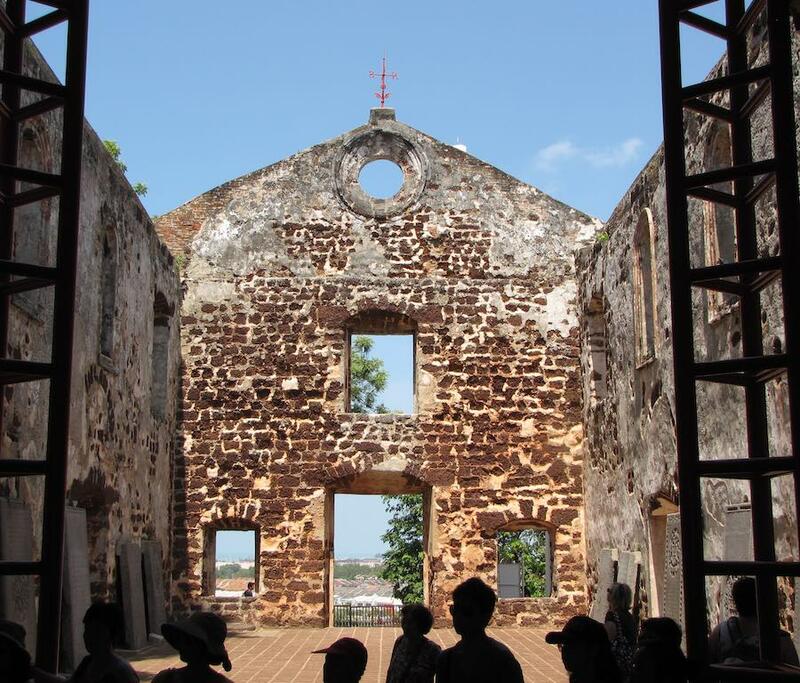 When the British occupied Malacca in 1824, the church was used as a powder magazine and was allowed to deteriorate further. 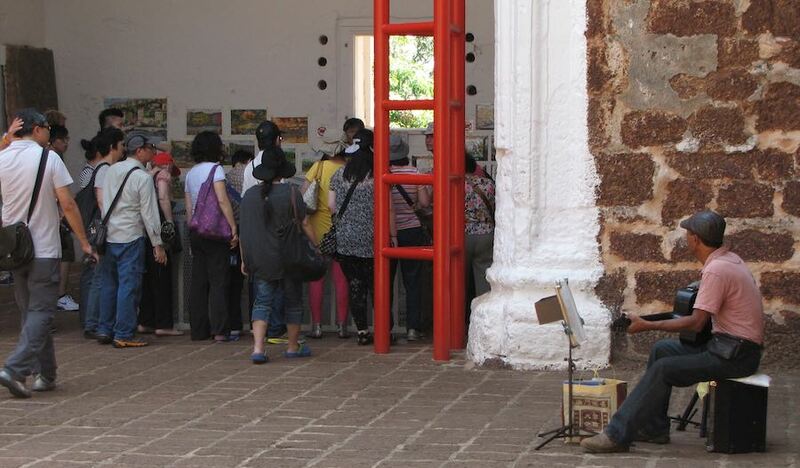 Vendors inside of St. Paul’s Church, selling paintings and drawing. Also a musician playing for tips. 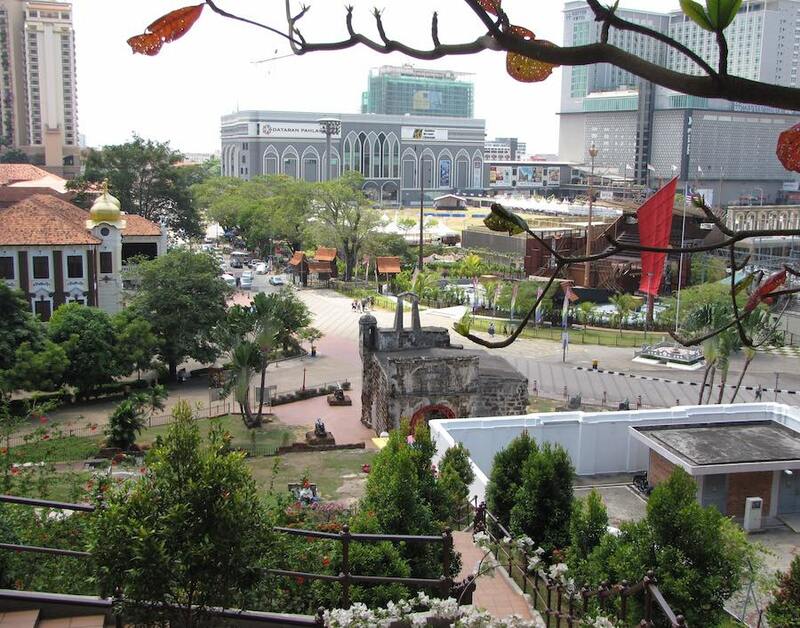 The site is a nice place to visit on a walk around historic Malacca.